In the heart of the Pisan Hills region lies the town of Casciana Terme, one of many dotting these knolls. The name Casciana derives from the Latin name Cassius, so presumably it was the “Land of Cassio”, but a first mention of the location is at the end of the 9th century by the name of Acqui, with reference to the thermal characteristics of the place. A local legend recounts that the Countess Matilda of Canossa (1046-1115) had an old and sickly pet blackbird with greyish feathers. Staying in the village she noticed that the blackbird would return from morning outings with darker feathers and easier movements. Even its beak had returned to a bright yellow colour. One day she followed the blackbird to discover that it had landed in a strange pond of warm water. The countess herself took to bathing in those miraculous waters and relieved various pains due to old age together with the gout she had suffered for all her life. 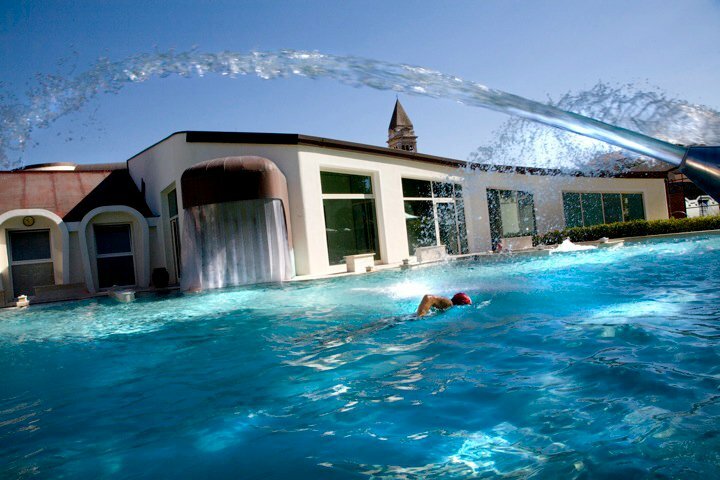 In spite of the legend, what is sure today is that in 1311 the Lord of Pisa, Federico da Montefeltro, had the first thermal spa built. Restored in 1460 it was only in 1596 that improvements were made with the spa divided into four sections, one for men, one for women, one for the sick and a fourth one even for animals. This subdivision remained until 1700. In the meanwhile the peace and quiet of Casciana was put to test with sackings during the warfare against Florence who even burnt the castle down, with the plague that broke out in 1630 claiming many victims and with an earthquake in 1846 which caused much death and destruction. 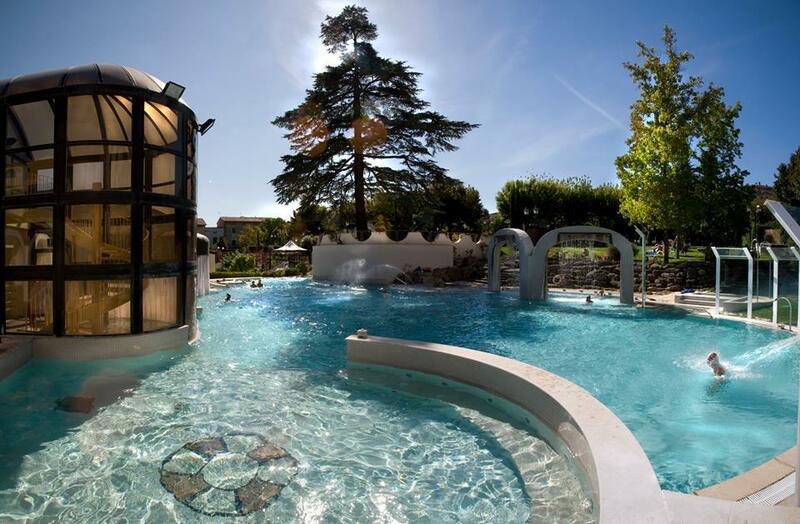 Today’s spa was built in 1870, by the orders of Ferdinand III, Grand Duke of Tuscany, and on a project of Giuseppe Poggi, renowned for his Piazzale Michelangelo in Florence. Ferdinand III changed the whole aspect of the establishment making it more fashionable for the aristocracy of the time and attracting many intellectuals and distinguished characters of both the past and present. The spring has a constant natural temperature of 35,7 °C. The water contains mineral salts which are combined in such a way to be distinguished by their particular effectiveness. Originally used for treating arthritis, rheumatism and sciatica, nowadays it is also used for neurorehabilitation therapies and cardiovascular and respiratory treatment. 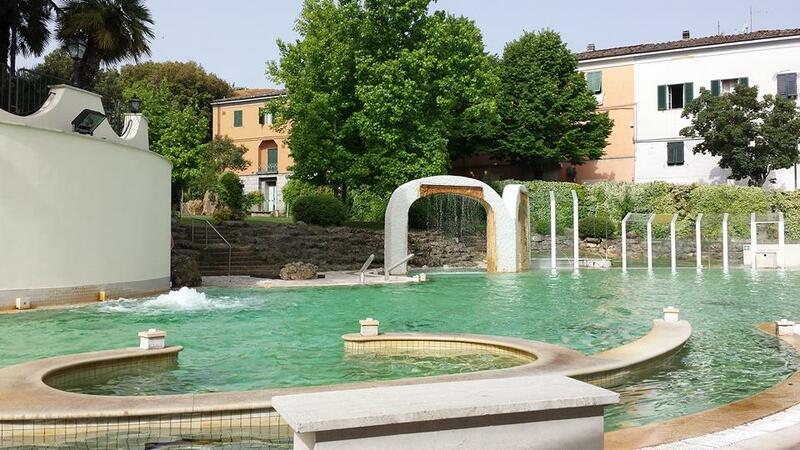 Here visitors can relax in a natural ambience and regain balance. 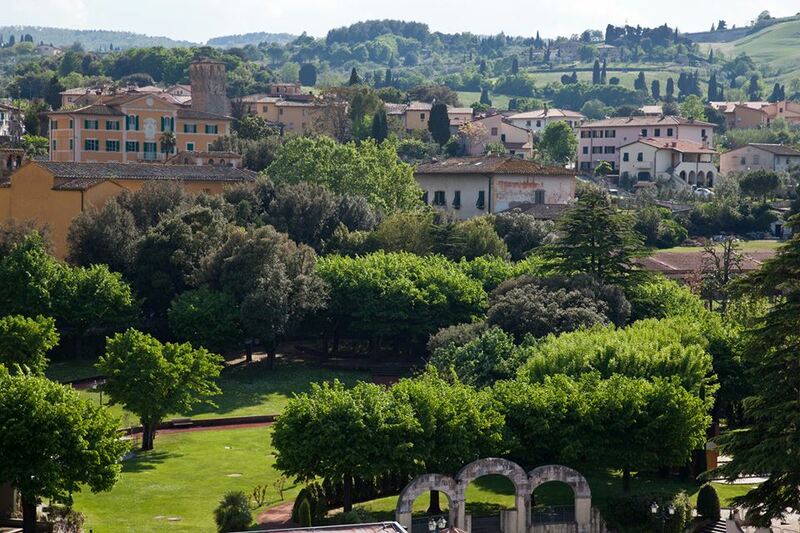 Today Casciana, thanks to its geographical location and proximity to the famous art centres of Tuscany – Pisa, Lucca, Florence, Volterra, San Gimignano and Siena – is the ideal starting point for many interesting sightseeing tours. 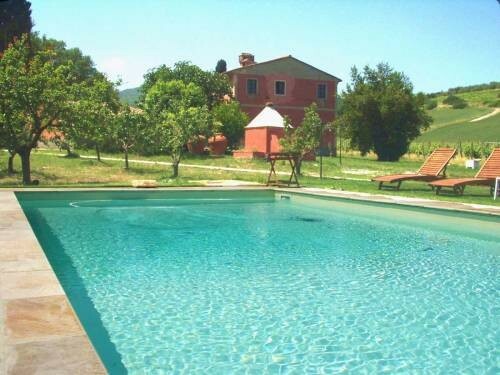 For this reason we would like to recommend our accommodation in Casciana Terme, a villa for 10 with swimming pool, ideal for large families or groups of friends. 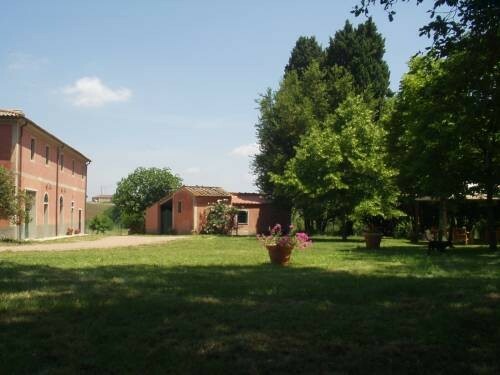 Originally a farmhouse, the villa has been restored maintaining the original architectural features. A large garden surrounds the house full of fruit trees from which guests can pick their choice. The total quietness of the location also permits wildlife sightings such as rabbits, pheasants, roe deer and crested porcupines, especially at sunrise and sunset. Truly the perfect relaxing holiday. Questa voce è stata pubblicata in Accommodations in Tuscany, Culture and accommodations in Tuscany, Folklore and accommodations in Tuscany, Tuscan lifestyle, Villas in Tuscany e contrassegnata con Casciana Terme, Federico da Montefeltro, Ferdinand III, Giuseppe Poggi, Matilda of Canossa, Piazzale Michelangelo, Pisa, Pisan Hills, spa towns. Contrassegna il permalink.